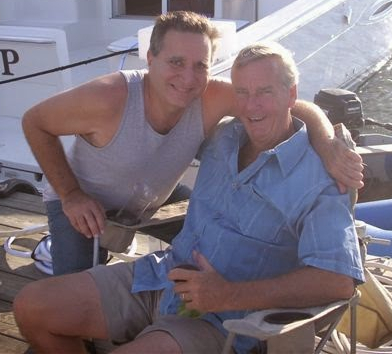 The Point of Pines Yacht Club Officers and Members wish to express their condolences to the family of Tom Butler. Thomas Butler, born and raised in East Boston Mass, and long time resident of Revere Mass, passed away Saturday morning. Thomas had been combating a serious lung condition for some time, but few realized the extent of damage the disease had caused. For many his passing was unexpected and abrupt, but in the end Thomas was surrounded by family. Thomas is survived by his Mother Alice Butler, and his Brother Richard Butler. Thomas worked hard his entire life, his greatest concern was always paving the way for the success of his children. He leaves behind a great legacy, his sons Dennis Butler and Richard Butler, daughter Leslie Honig, Grandchildren Jessica Robara-Brokate, Jennifer Moreau, Haley Taylor, Danielle Honig, Tanner Honig, and Great-grandchildren Maison Moreau, Kahli Butler, and Liam Robara-Brokate. Thomas was a kind and generous man, and his loss will leave a great void in the lives of his countless friends and family members. Thomas had a great love for life, he does not want you to mourn him now that he is gone, but to celebrate his life. Thomas will be missed, but never forgotten, he will live on within the hearts and minds of every person he touched throughout his life. Tom R.I.P. you will be missed but not forgotten……..